Why Can't I Plant My Own Seeds? Among the many recent Supreme Court decisions, one decision regarding patents and self-replicating technology has a huge effect on farmers and the agricultural industry. Monsanto is an agriculture company headquartered in St. Louis, Missouri. Specifically, Monsanto genetically engineers seeds to yield herbicide-resistant plants that produce higher yields for farmers. 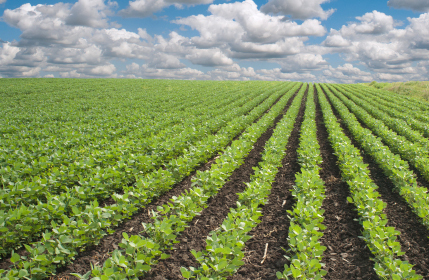 One of its more popular products is its "Roundup-Ready" line of soybeans, which has been planted in over 50 million acres to date. The seed is attractive to farmers because it is herbicide-resistant. Monsanto has a patent on its Roundup-Ready product and prohibits farmers from retaining harvested seeds for planting in subsequent years. In Bowman v. Monsanto, it discovered a farmer doing just that. The farmer argued that the sale of the seed exhausted Monsanto's patents rights. Under the patent exhaustion (or single sale) doctrine, authorized sale of a patented object exhausts the patent rights in the object; the purchaser can then use or sell the object if they desire. According to the farmer, this allowed him to harvest seeds grown from the purchased seeds and plant them in the following growing seasons. In an opinion written by Justice Kagan, the Supreme Court unanimously disagreed. The primary concern for the Court was the value of Monsanto's patent if farmers were allowed to replicate their product. Applying patent exhaustion to the sale of the seeds would eliminate the value of the patent completely. What the Court did not address was the broader issue of how to apply the patent exhaustion doctrine to self-replicating technologies generally. Unlike traditional patented objects, self-replicating technologies duplicate themselves. This is problematic for the usual application of the patent exhaustion doctrine. For example, when we purchase our cell phone, we are free to sell and use that phone as we please—the owner's patent rights are exhausted. The story is different for companies such as Monsanto. Imagine if your phone created duplicates of itself and the profits you could make if all patent rights of the seller were extinguished. One of the reasons the Court limited its holding to the facts of the case rather than self-replicating technologies in general is because of the different applications of this technology. For a seed producing company whose product is widely in demand, it is sensible to protect that company's patent rights. However, in applications such as customized nano-medical technology, the self-replicating object is not as easily transferrable to different consumers, and patent rights may not need as much protection. The debate about patent exhaustion applied to self-replicating technology is ongoing and it appears the Supreme Court will decide disputes on a case by case basis until the technology develops further.